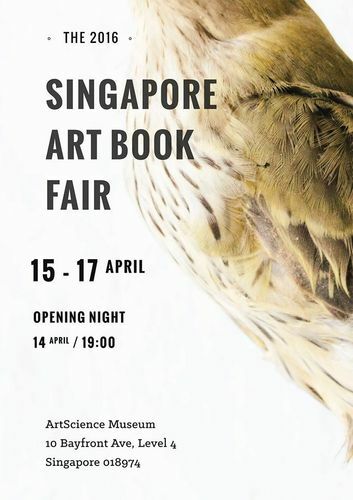 Now in its third edition, the Singapore Art Book Fair (SABF) will be held at the ArtScience Museum from April 14th to 17th this year. 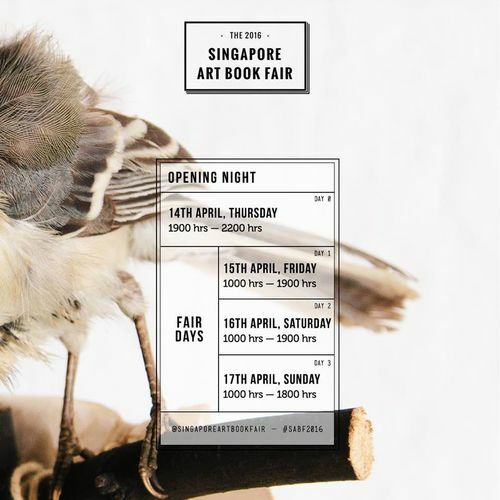 The annual book fair organized by BooksActually aims to present the best in local arts publishing, showcasing contemporary art books, magazines, zines and new publications that will be released over the weekend. 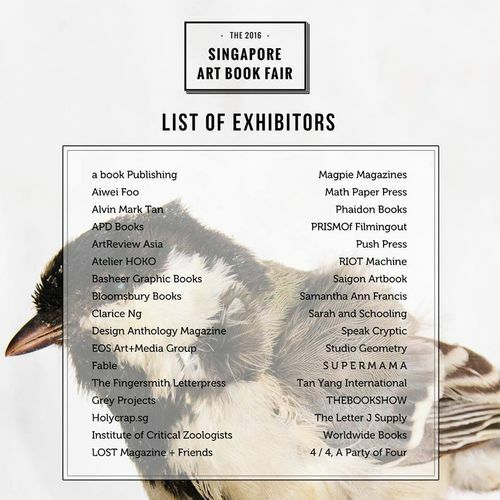 We are proud to present 34 local and international exhibitors, ranging from art collectives and design studios to book publishers from Vietnam, Thailand, and the United Kingdom. 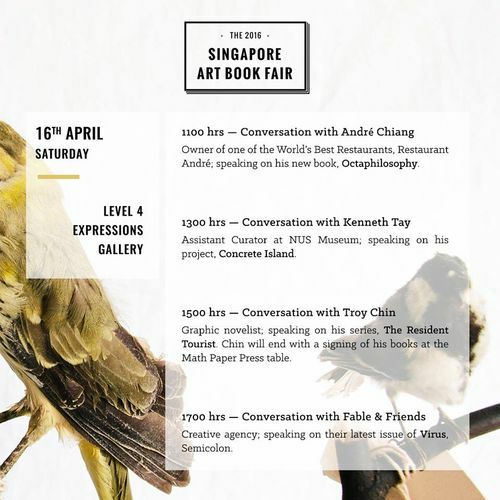 Fringe activities over the weekend include artist talks, film trailer screenings and workshops. 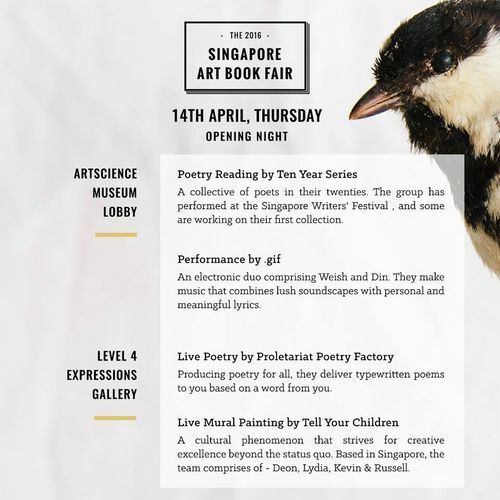 Themed “Cabinet of Curiosities”, this year’s curatorial direction explores two very basic aspects of human nature – our curiosities and our desire to collect. 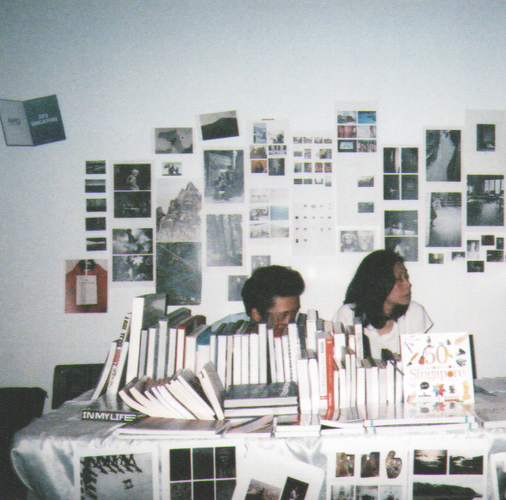 At SABF 2016, we invite you to come wander through the space in pursuit of ideas and objects worth keeping in your own wunderkammer. Admission is free. 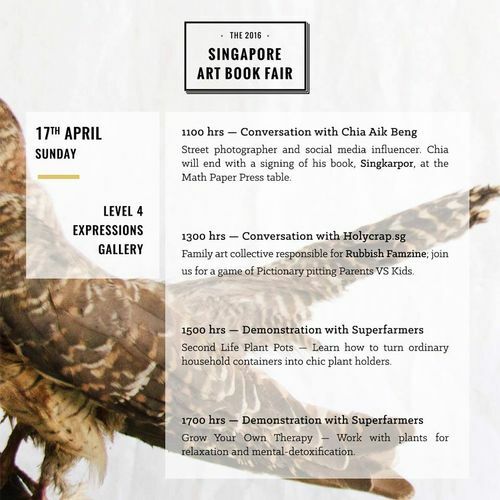 Event will be held at Level 4.